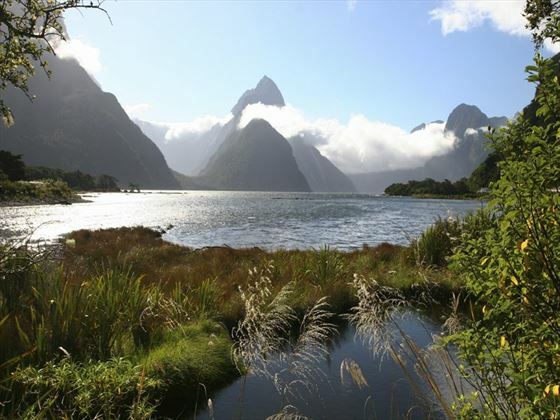 This is a spectacular 17-day coach tour that shows of the very best of New Zealand’s North and South Islands. Beginning in the bustling city of Auckland you’ll have plenty of time to get to know this friendly metropolis before heading to the gorgeous Bay of Islands. 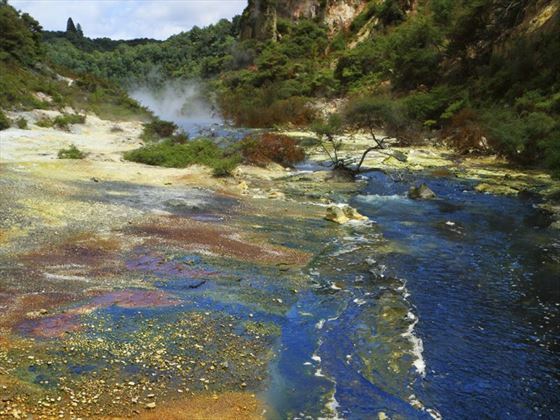 You’ll then move on to the mud pools and hot springs of Rotorua, then down to the capital city of Wellington. Today you’ll arrive in Auckland where you’ll be met and transferred to your hotel. Your day is then free to either relax or take in some of the impressive sights of the city including the Auckland Museum, Kelly Tarlton’s Sea Life Aquarium or just taking in some of the architecture. 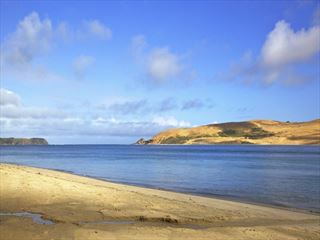 On day two you’ll travel away from Auckland along the Hibiscus Coast. You’ll stop off briefly at the Kauri Museum in Matakohe to get an in-depth knowledge of the northern region of the North Island, then you’ll continue on to the Bay of Islands. 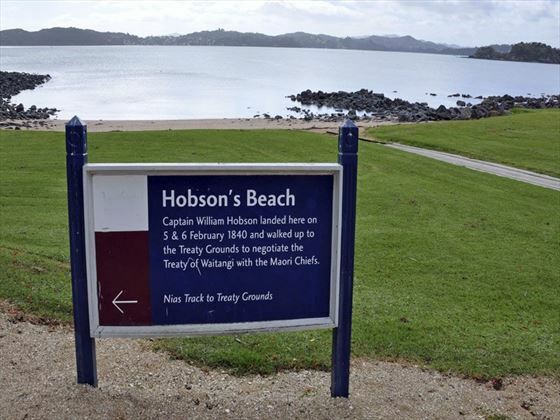 Here you’ll visit the Waitangi Treaty Grounds, where the treaty was signed between British and Maori people. Day three is a free day where you can choose your schedule. 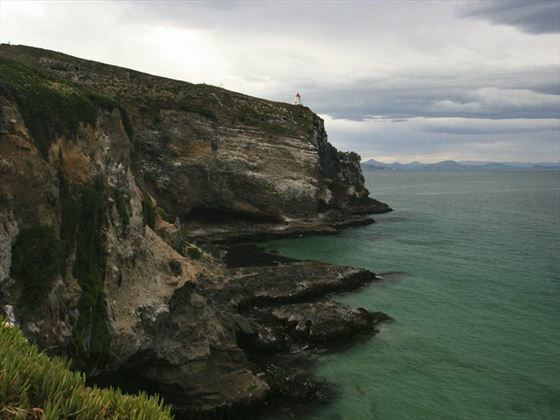 There’s a range of options including a tour to Cape Reinga, a dolphin-watching cruise, a sightseeing tour in the town of Kerikeri or a round of golf at Waitangi, plus so much more. 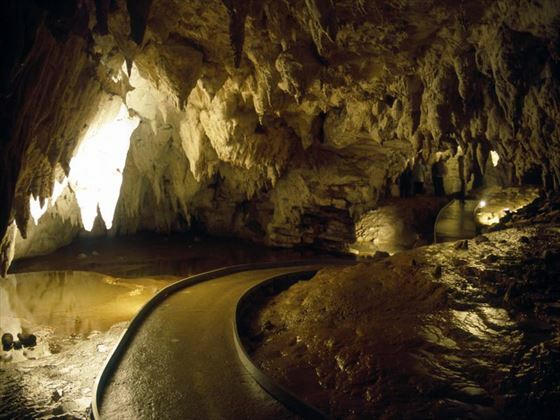 On day five you’ll travel south to Waitomo, which is home to the incredible glow-worm caves – a stunning sight not to be missed. You’ll then head onwards to Rotorua where you’ll be given a fantastic introduction to Maori culture with an authentic Hangi feast with a song and dance performance. Day six gives you freedom to culture Rotorua at your leisure. There are plenty of options available including the Agrodome Farm Show and the Rainbow Springs Nature Park. Another fantastic option is the ‘Hobbiton Movie Set’ tour which takes you to the nearby sites at which the Lord of the Rings trilogy was filmed. 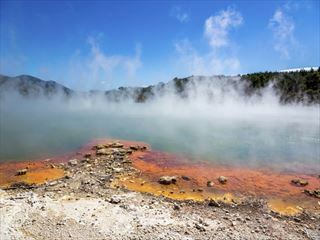 There’s also the chance to visit Rotorua’s famous mud pools and hot springs plus the excellent Rotorua Museum. The next two days will take you to New Zealand’s charming capital city, Wellington. On the way you’ll visit Lake Taupo and the gorgeous Huka Falls which feeds directly into the lake. 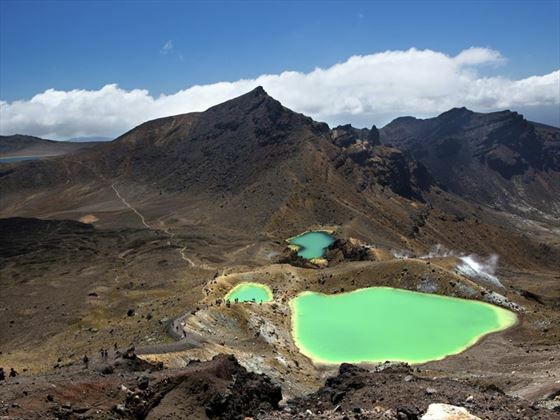 You’ll then pass through the Tongariro National Park with its World Heritage-listed volcanic plateau. You’ll then arrive in Wellington where you’ll check into your accommodation and relax. On day eight you can choose from a selection of Wellington-based activities including a guided sightseeing tour of the city, a visit to Zealandia eco sanctuary, a viewing at the Carter Observatory and Planetarium. On day nine you’ll travel from the North Island to the South Island. Taking the Interislander Ferry across the Cook Straight you’ll enjoy some truly stunning views. 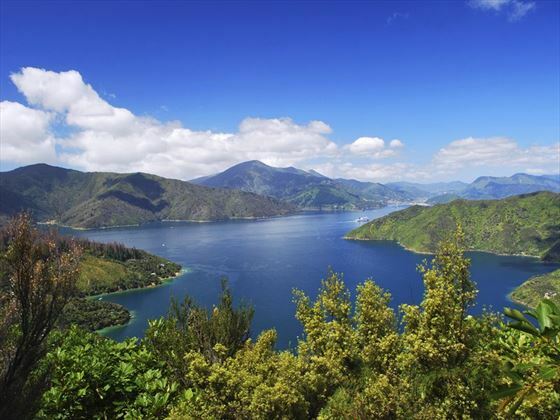 Passing through the Marlborough and Queen Charlotte Sounds you’ll reach Picton. 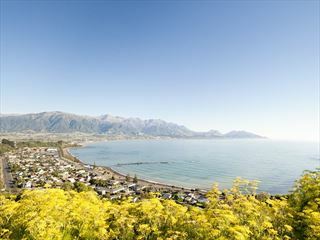 From here you will head onwards to the picturesque fishing village of Kaikoura and finally stop in Christchurch, the largest city on the South Island. On the tenth day of the tour you’ll take one of the world’s best train journeys. Boarding the TranzAlpine train at Christchurch, you’ll roll through stunning gorges and mountain scenery, passing waterfalls, rivers and forests. 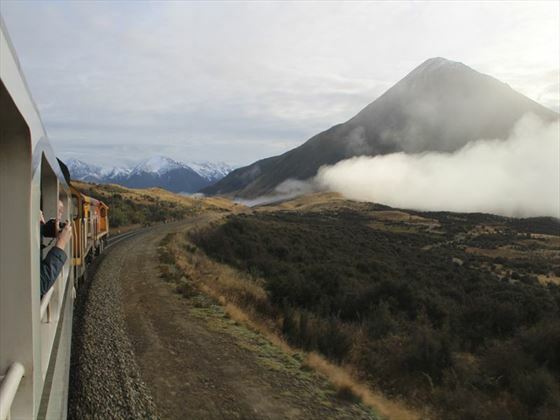 You’ll head under the towering Southern Alps to Arthur’s Pass where you’ll disembark and continue the journey by coach. Here you’ll journey to see jewellery crafting and continue on to the iconic scenery of Franz Josef Glacier. On day 11 you’ll travel alongside the Haast River enjoying views of the Haast River Valley, formed by a glacier. Here you’ll see lofty peaks, verdant forest and many small waterfalls. You’ll then arrive in Queenstown – known as New Zealand’s adventure capital. The rest of the evening and the whole of day 12 are yours to explore Queenstown and enjoy some activities. You could choose to take a Safari of the Scenes tour where you’ll get to see a number of the actual locations used in the Lord of the Rings films. Another option is a ride on the Shotover Jet Boat through the Shotover River Canyons. There’s also the opportunity to take a wine tour at one of New Zealand’s premier vineyards. Today is a truly scenic drive as you head along Milford Road. Passing through Homer Tunnel you’ll be treated to views of Mitre Peak before continuing on to Milford Sound. Here you’ll take a cruise exploring the whole of the fiord. 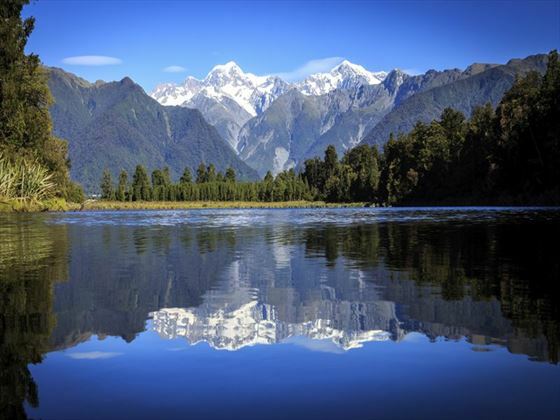 After the cruise is over you’ll travel to the lakeside town of Te Anau where you’ll enjoy a Taste of Fiordland Dinner. Today you’ll head on to Dunedin, often known as the Edinburgh of New Zealand. There are some truly unique sights here including the world’s only mainland Royal Albatross colony and New Zealand’s only castle, Larnach Castle. Make sure you don’t miss the wonderful architecture of Dunedin Railway Station. Today you’ll visit the World Heritage-listed Mt Cook National Park where you have a range of activities to choose from. You could visit the Sir Edmund Hillary Alpine Center or take a guided walk in the wilderness.